By now, readers would be aware that the makers of Sanju have gone through extensive research when it comes to the Sanjay Dutt biopic. From aping their mannerisms to the physical resemblance, there have been many factors that were kept in mind when they were casting for Sanju. 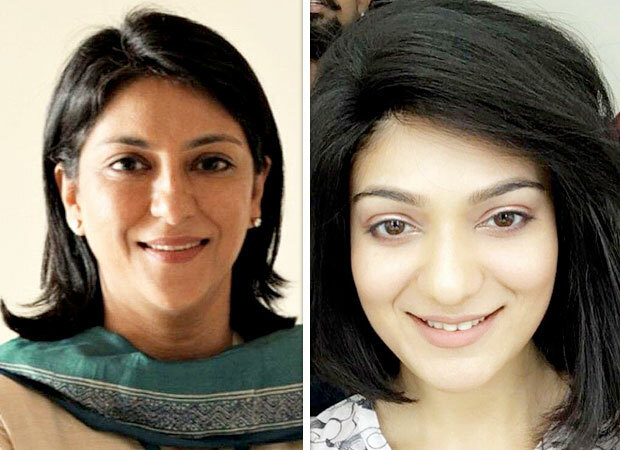 Just like Ranbir Kapoor got into the skin of Sanjay Dutt, another role that left everyone baffled was Priya Dutt. Aditi Gautam aka Aditi Seiya has resembled Priya Dutt to the T and the actress was equally thrilled when Priya herself agreed to it. Speaking on the role, Aditi Gautam revealed that she had to undergo extensive preparation to essay the character. She stated that getting into the skin of the character was a task especially since she has never met Priya Dutt in real life. As part of the prep, Aditi saw Priya’s interview on Rendezvous with Simi Garewal to adopt her mannerisms. A source close to the development confirmed, “Not many know but Raju sir (the director) sent Aditi’s pictures of the look test to Priya.” On the other hand, Aditi went on to add about her experience of working with Ranbir Kapoor. Quipping that it was “difficult to play Ranbir Kapoor’s sister since he is a heartthrob”, Seiya, however, was all praises for his acting skills. “Ranbir is a one-take guy who enhances every scene. He turned an important family scene around by suggesting minor tweaks. I have become his fan after working with him,” concluded the actress. As for the parents of Sanjay Dutt, it is essayed by Paresh Rawal and Manisha Koirala who play Sunil Dutt and Nargis respectively. Besides her, Sanju also stars Dia Mirza as Sanjay’s wife Maanayata Dutt, Sonam Kapoor as one of Sanjay’s love interest, Anushka Sharma as a biographer, Karishma Tanna as Madhuri Dixit amongst others. The film is slated to release this week, on June 29.